Lexicide reader Helen sent me this newspaper headline, which dates back to June, 2015. 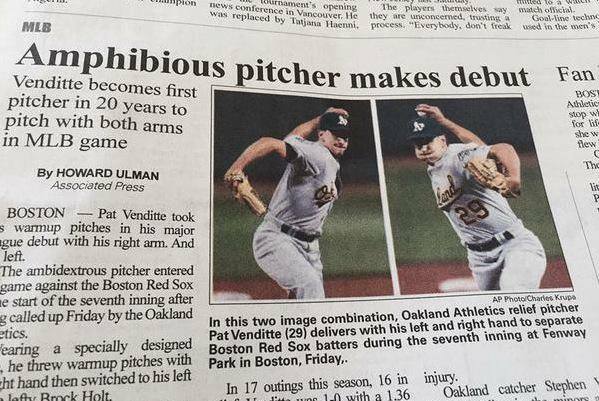 I can think of several words one might confuse with ambidextrous: ambivalent, ambiguous, even ambivert, The headline word the East Oregonian editor chose is not one of them. Here’s some barely suppressed schadenfreude from the Daily News. And here is the East Oregonian mea culpa. This entry was posted in commentary, sightings on April 4, 2016 by mark.